Aphids are small, pear shaped insects. They may be black, brown, pink, yellow, green, blue or creamy white in color. Aphids invade ornamental plants across the Gulf Coast of Florida. One of the primary problems with this pest is that populations grow quickly. A small colony of aphids can rapidly become an infestation on plants and shrubs. You best line of defense against aphid damage is a pest professional. Venice Pest Control is here to help. Aphids use their sucking mouths to drain the sap from plants. Plants that have been fed on by aphids are often weakened. Aphids can transmit plant viruses that may be harmful and even kill plants. Aphids secrete a fluid known as honeydew. Mold is attracted to this honeydew and will start to overcome a plant that is covered in the sticky substance. Plant damage is the easiest way to detect an aphid infestation. Plants that have been targeted by these tiny insects may have discolored or curling leaves. Wilted leaves, brittle stalks and plants that seem just a little weaker than usual are all signs that aphids are present. Black fungus called sooty mold can also point to an aphid infestation. Whether you are an avid gardener or someone who likes to admire your beautiful Florida landscape, aphids can cause damaging effects. Our family-owned business is based on superior customer service, outstanding results and affordable rates. 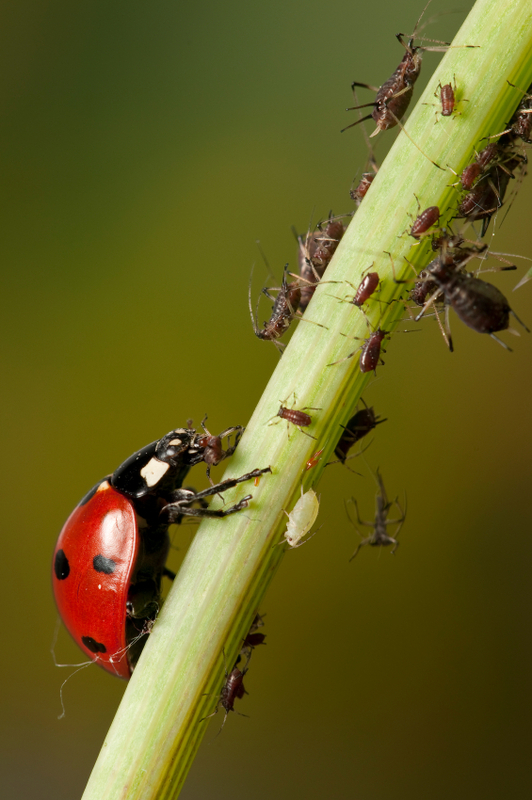 Contact Venice Pest Control today for more information or a no cost evaluation.